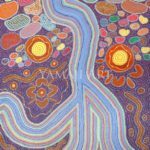 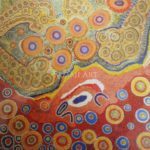 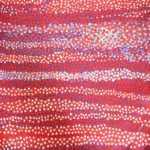 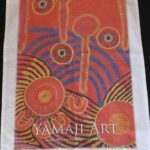 Badimaya Artist Barbara Merritt was born in Carnarvon in the 1950’s, and grew up her Ancestral country in Mount Magnet and then later in Mullewa. 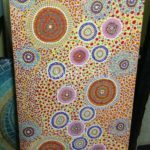 where her shearer father worked on outback stations and her mother worked at the Hospital and raised a close family of ten. 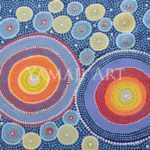 Barbara has fond memories of weekends hunting out in the bush with her family , this was continued into adulthood and states that painting the land where she comes from is the biggest influence . 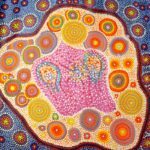 Barbara always wanted to be an Artist when she was young, but being a mother of seven children came first. 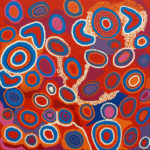 Now that her children are grown, Barbara has fast become a very active Artist in the Community. 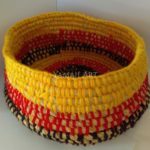 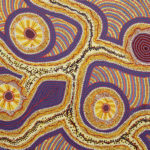 Barbara s journey started at Wila Gutharra and studying at Geraldton TAFE before joining Yamaji Art Centre . 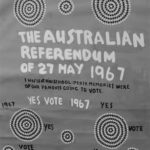 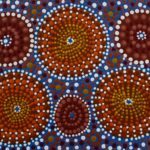 Barbara has been involved in NAIDOC celebrations at local schools and input into public art projects such as Murals at Lake Indoon, Geraldton PCYC sharing her knowledge. 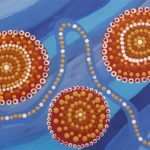 With always more than one painting on the go, Barbara paints about the Knowledge and Traditional stories passed down by her Elders. 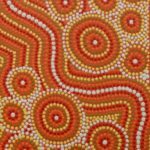 Barbara is known as the Queen ofColour and enjoys painting light hearted stories with bright colours’ to create an uplifting feeling in today’s depressive society. 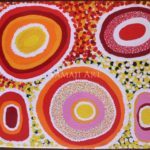 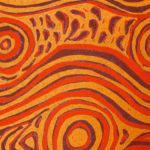 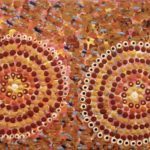 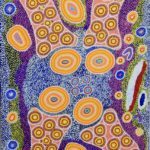 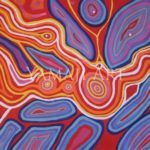 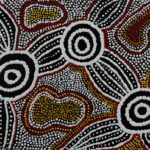 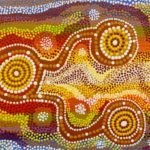 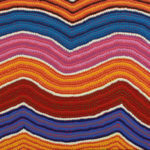 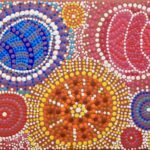 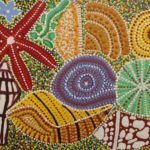 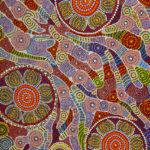 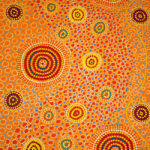 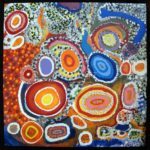 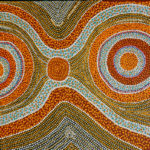 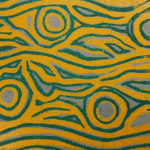 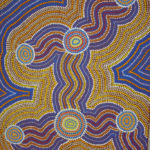 Her paintings are an explosion of bright colours using Traditional and Contemporary Aboriginal styles and techniques. 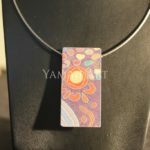 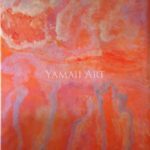 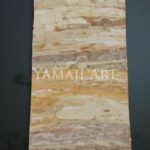 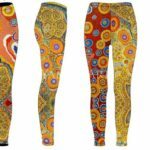 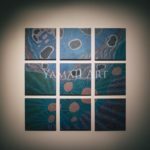 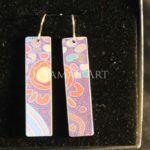 Barbara is represented by Yamaji Art Centre , Geraldton , Western Australia . 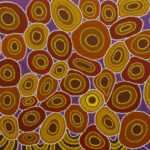 I like to paint about the land, where I came from is my biggest influence.